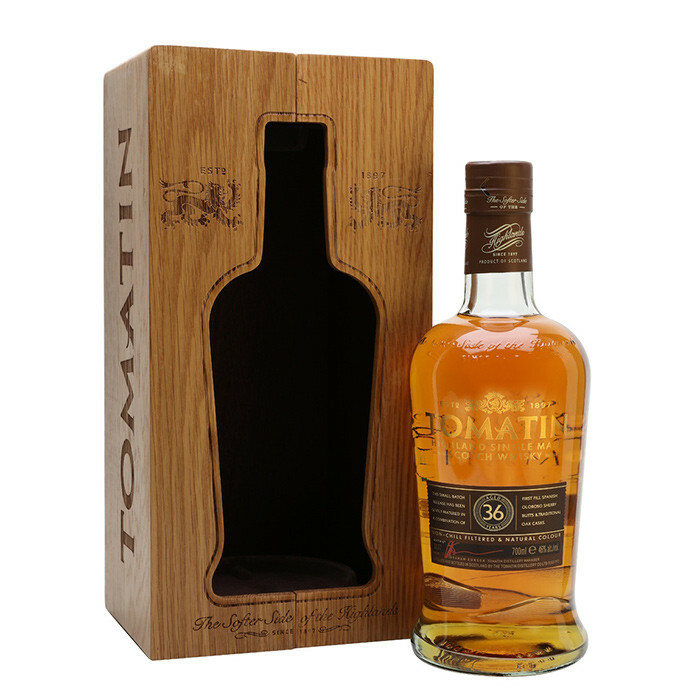 An 800-bottle Production, Tomatin's 36 Year Old Rare Casks has been aged in a combination of ex-bourbon and first-fill ex-oloroso-sherry casks. This non-chill filtered and natural color whisky is Malt-led with Notes of Cloves, Cardamom and Vanilla. Nose: Pear drops, ginger snaps, butterscotch, vanilla ice cream, sherry notes, milk chocolate.